Thinking about starting a home staging business but not sure if it’s for you? LAUNCHER — an online course that helps you discover if a career in home staging is right for you. Hi there, I am Cindy Lin. I am a home staging educator, photographer and podcaster. I started in real estate as a buyer’s agent and a property manager. Before starting the school in 2017, I had worked as a home stager in the San Francisco Bay Area for more than ten years. In 2018, I was voted one of the Top 100 Most Influential People in Home Staging by Real Estate Staging Association. My home staging blog was named #3 of Top 100 Home Staging Blogs and Websites For Home Stagers in 2018. I wrote this course because I saw that many people jumped into the field without really know what they were getting themselves into. There was also no programs on the market that helped them figure it out without investing a significant sum for a home staging course first. but… not sure how to start? You are afraid that you will spend $thousands on a home staging course then realize that you don’t want to be a stager? You’ve already read tons of blogs online and still not sure how and where to start a home staging business? Or the type of stager you want to be? Or what services can you offer?? You have always been creative and love decorating your home. Home staging seems like the perfect fit. It looks like so much fun and totally doable when you watch Joanna Gaines on HGTV! But… How do you get into the home staging business? How do you charge someone when you are simply doing something you LOVE to do?! Where can you get your first job? How or who to approach to get the business started? You have a million questions about starting a home staging business and not sure what or who to ask. Like, what sort of business skills do you need? Will you lose your shirt opening a home staging business? The Launcher course has two parts. In part I, you learn an overview of the industry, common business models for home stagers, basic pricing concept, how to stand out in the industry and how to avoid common mistakes new home stagers make. In part II, you map out your business plan. There are also two bonus classes where I show you the behind the scenes of a home staging consultation and a vacant home staging project. You end up deciding home staging is not the right career for you, many principles and concepts discussed in the course will still apply to other creative fields. I've gone through your e-book and I must say it's really great! I think it could apply to a lot of entrepreneurs, even outside the home staging business. So glad I could read it! I could also see the whole e-book directed towards general start-ups or solopreneurs. It's really that informative. In your 97-page digital Launcher workbook, you will learn the overview of the home staging industry, structuring your business and how to find work in the beginning. After learning an overview of the home staging industry and what to do as a new stager, use this 27-page Simple Business Plan digital workbook to plot out your new home staging business, or any other business you’d like to start. It creates a bird’s eye view for your business and helps you see where are the potential challenges are, so you can find solutions accordingly. In the course bonus, you will also get access to our class on vacant home staging, where we will show you a vacant home project we did in San Francisco. You will learn the key elements of vacant home staging, the rationale behind our styling and how we approach staging a vacant home. In addition to the vacant home staging class, you will also have access to our home staging consultation class, where we show you a real-life project in the San Francisco Bay Area. You will be able to see the recommendations we made to the homeowner and learn why we made those recommendations. WE DESIGNED THE PROGRAM TO WALK YOU THROUGH THE MUST-KNOW’S. SO YOU CAN GAIN CLARITY ABOUT STARTING A HOME STAGING BUSINESS. Once you’ve enrolled in your course, you will have immediate access to the digital course. It is up to you to control when you start and finish the course. There are no renewal fees to the course, even if we raised the tuition of the course or updated course materials. You have lifetime access once you’ve enrolled. Want to take the course material on the go with you? You can print out the ebooks and do the worksheets when you have down time. You can download and read the ebooks on your smartphone, tablet, laptop, and desktop. You can also watch the videos on any devices from anywhere in the world with internet access. This digital course is for those who are thinking about jumping into a career in home staging but is not sure if it’s the right career or what to expect. We designed this online course to provide an overview of the industry and answer the common FAQs that most newbie stagers want to know. 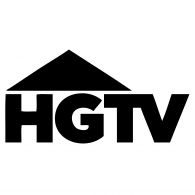 The bonus video lessons also give you a taste of what to expect on a home consultation and in a vacant home staging project. This course is not a replacement for a full training course. If you are interested in a business course that teaches you how to build a solid foundation for a profitable home staging business, check out our signature course 6-Figure Floor Plan. It is an 8-week business incubator with six weekly office hours and modules to help you establish your systems, workflow, scripts, and foundation for a home staging business that serves your lifestyle. You can find out more information about the 6-Figure Floor Plan course here. Self-study version is also available, and you can upgrade to the live incubator when enrollment opens. "Before reading this ebook I had so many questions and concerns about starting a home staging business, like where do I begin? What will I charge? How do I get my foot in the door? I had many ideas but no idea of how to structure them into a business plan, much less a business plan that will make money. But Cindy from Staged4More was able to answer these questions in the most clear and precise ways, sharing her own experiences, preferences, advice and knowledge on home staging. Fear of launching my first business has been replaced with pure excitement thanks to the encouragement Staged4More has provided." If you do the work and feel that you have not received any value from the course, we are happy to refund you. All you need to do is to write to us within 30 days of your purchase with your full, completed coursework and a detailed explanation of what didn’t work for you. We are asking for your full coursework because we know that if you take the action and go through every worksheet and exercise, you will make gain clarity and make progress toward your goals. By seeing your full coursework, we can help you troubleshoot and figure out where you may have felt stuck. We are also asking for your detailed explanation so that we can continue to improve the course. How much time do I need to finish the course? To watch the two bonus classes, it will take you about 100 minutes in total. The rest is a bit difficult for us to gauge since it depends on how fast you read and how long it would take for you to do each exercise. This is a self-guided online course so you can take as much time as you need or as little as you need. It’s up to you, and you go at your own pace. It would be difficult for us to estimate how long it will take you to complete, especially since there are researches and brainstorming needed for some exercises. For as long as you’d like! You will lifetime access for the lifetime of the course, once enrolled. how soon can I access the course once I enrolled? Almost immediately. Once you’ve enrolled, our system will send you an email with your course log-in information. If you did not receive the welcome email within an hour of your enrollment, please send us an email here. We will get you sorted. What if I want feedback on my business plan and worksheets? At the end of the Business Plan workbook, there are instructions on how to book a one-on-one with Cindy. You will be able to send her all of your coursework in advanced, where she will give you detailed feedback via email. Then you schedule the call to discuss further or ask any questions you’d like. When you finish the feedback session, we will send you a completion certificate and logo that you can use for marketing. This is an optional, paid session, it is not included in your course tuition. If you had done the work and honestly feel that you didn’t learn anything from the course, you can write to us within 30 days of purchase. To get your refund, you will need to submit your full coursework and a detailed explanation of why you feel that course didn’t work for you. Without these items, we will not issue a refund. By purchasing the course, you have agreed to this refund policy. WAY before I was voted Top 100 Most Influential People in Real Estate Staging 2018 by Real Estate Staging Association, I too was a newbie and not sure if home staging would be right for me. I started Staged4more in my parents' garage, and I grew the business into a 5,800 square feet commercial warehouse three years after I started working as a home stager. During my 11-year career as a home stager, I had worked on about $500+M worth of real estate. I developed this course because I know launching into a new career is very exciting but very scary at the same time. There are a lot of unknown and unexpected scenarios that can happen and you will not know how to handle. You just don't know what you don't know. Think of this course as one of those books you buy when you found out you’re pregnant. It’s a "What to Expect When You're Expecting" for potential home staging business owners to give you a lay of the land so that you will be much more prepared to walk into an entirely new field. I'm very passionate about staging because I genuinely believe that home staging can provide incredible results for our clients. In additions to courses, we also have a lot of great and free resources on www.staged4more.com. You can read free blog posts and download The Home Staging Show podcast, where I interview top experts in real estate, staging, and design. If you want more education after this course, check out our 6-Figure Floor Plan course. This is a business incubator where we spend 8 weeks together knocking out systems (for operations, marketing, etc.) and setting up a solid foundation for you to grow your dream home staging business. Take advantage of the 100% Risk-Free Guarantee. Need Help Ordering or Have More Questions? Thank you! A team member will get back to you within 1 business day. © 2019 STAGED4MORE SCHOOL OF HOME STAGING.